Because of his limited education and innate dictatorial lifestyle, Retired Major-General Muhammadu Buhari has continued to use Nigeria’s Department of State Services (DSS) to perform duties statutorily assigned to the Nigerian Police Force and other relevant agencies. In simple terms, what we are witnessing now is a repeat of the Late Idi Amin’s style of running a country. Within the shortest possible time, the Nigerian Judges shall experience the same thing that happened to the 50-year old Chief Justice Benedicto Kiwanuka on September 21, 1972, in Kampala-Uganda. For the avoidance of doubts and to correct the falsehood being peddled by the DSS, it is proper that we make public, the law establishing the DSS and state their responsibilities. There is nothing above that supports the claims by Abdullahi Garba that they acted according to the mandate of the DSS. Rather the DSS usurped the responsibilities and duties of both the Police and the EFCC. For instance, Section-4 of CAP P19 (Police Act) empowers the Police to embark on the very operation that the DSS have usurped. Also, Section-6 of the Economic and Financial Crimes Commission (Establishment) Act, No. 1 of 2004 empowers the EFCC to investigate, arrest, and prosecute individuals and organizations for financial crimes. Clearly, the DSS have overstepped their boundaries as specified in the law establishing the organization. We are aware that they are exhibiting their disregard for the rule of law with the open support of Buhari himself. It should be recalled that Buhari is a congenital breaker of the laws of the land. We should not forget that on the 31st of December 1983, Buhari committed treason when he overthrew a democratically elected Federal Government of Nigeria headed by Alhaji Aliyu Usman Shehu Shagari. Recently, which was on the 30th of December 2015, Buhari committed perjury when he lied under oath as he told the entire world that though Mr. Nnamdi Kanu has two International Passports (one British, one Nigerian) but he did not enter Nigeria with any Passport. Besides Buhari’s encouragement of brigandage by the DSS, we have come to the conclusion that the DSS targetted Judges who handled or are handling the cases between the DSS and Nnamdi Kanu and other illegally detained Biafrans. The objective is to embarrass these sagacious and fearless Judges and to cow them into doing the bidding of the DSS. A very good example is the fearless and upright Hon Justice A. F. A. Ademola who ordered the unconditional release of Nnamdi Kanu. The ultimate aim of the DSS is to use this illegal operation orchestrated against these Judges as a warning sign and impart fear into any Judge that would be assigned to the case between the DSS and Nnamdi Kanu as Hon Justice JohnTsoho is no more presiding over the case. On the other hand, we posit that the Judiciary brought this attack on themselves because they allowed Buhari to get away with flagrant disregard of the law on several occasions. Had the Judiciary insisted that Buhari should obey all court orders he would not have had the temerity to tamper with their liberty as he is currently doing. Recall that it was the same Judiciary that literally allowed the DSS to get away with murder when they kept mute as uncountable number of court orders were flouted by the DSS. Again, it was these same Judges that tacitly sanctioned the illegal arrest and detention of innocent citizens in the name of keeping Nigeria one. Today, the same monster the Judges encouraged has turned around to consume them. The same Nigerian Judiciary knew that Justice John Tsoho was corrupt, yet they agreed to let Buhari use him to try to achieve the illegal conviction of Nnamdi Kanu. What we are witnessing today with this all-out commando assault on the Judiciary is a punishment from God to the Judiciary because they kept quiet in the face of injustice against Nnamdi Kanu, although the few untainted ones like Hon Justice A. F. A. Ademola are now caught in the cross-fire. Is it not ironic that criminals in gowns like Justice John Tsoho were never arrested despite all the judicial impunity he has committed? Mr. Barack Obama and the British government, both of whom imposed Buhari on Nigerians, will now understand why the Indigenous People of Biafra (IPOB) want to leave Nigeria. A country where a civilian president can wake up and decide to round up some Judges because they ruled against his interest in a court of law, is not meant for human habitation. We, Biafrans, are not interested in Nigeria purely for this reason. This is one of the reasons that led our leader Mazi Nnamdi Kanu to call Nigeria a Zoo. Mazi Nnamdi Kanu, now and without equivocation, has been vindicated. We restate that there is nowhere in the law establishing the DSS which empowers the organization to embark on the prosecution of cases of corruption. 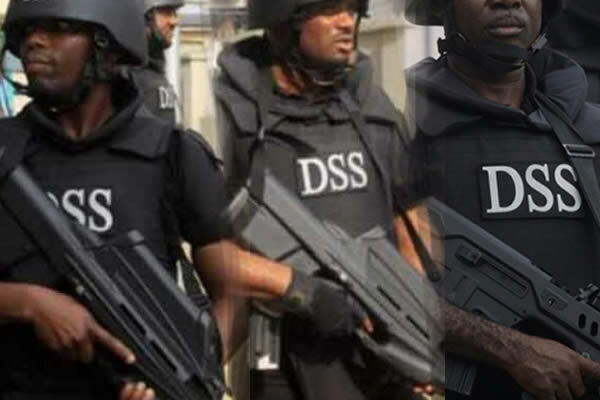 We believe that the DSS acted ultra vires. Indeed, we see the Act (CAP N74 L.F.N. 2004) establishing the DSS as a duplication of the Police Act (CAP P19 L.F.N. 2004). Therefore, we strongly recommend that the Act establishing the DSS should be repealed with immediate effect and the DSS should be disbanded. Also, we recommend that the Judiciary must find Buhari and his DSS in contempt of court and sanction him. Furthermore, it is our considered opinion that if Buhari is allowed to remain in office, many innocent people will die just like many people would have died if he had stayed beyond August 1985. However, these recommendations, even if implemented, cannot stop the unquenchable and irreversible process of the restoration of the blessed nation of Biafra. Biafra restoration is unstoppable, irrespective of whatever Buhari does with his DSS. Umu chineke. Very formidable. I love you guys. We will get there.